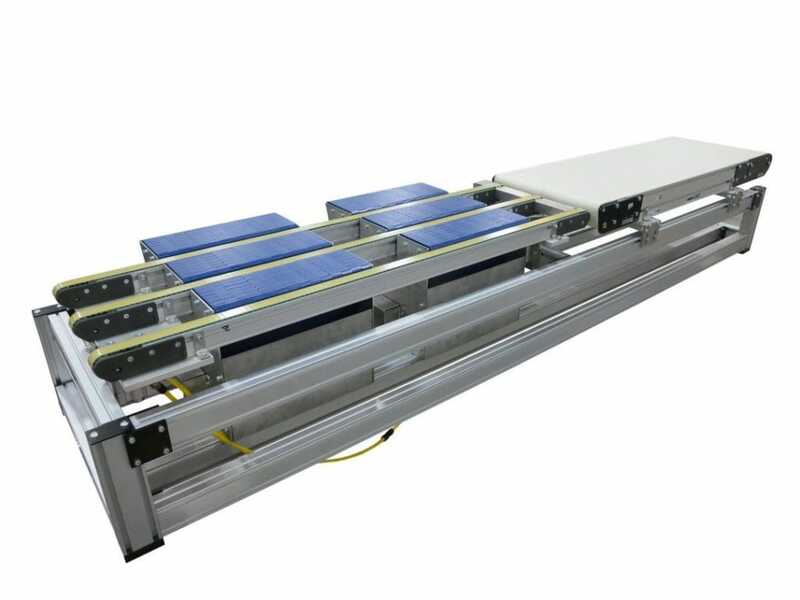 A 90 degree pop-up transfer uses multiple conveyors moving perpendicularly to each other, changing a product’s direction. 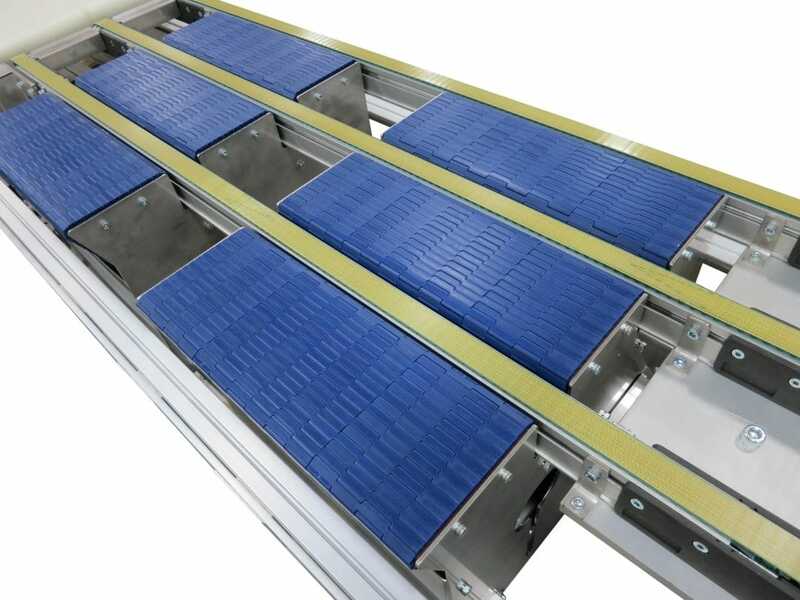 The lifting of the pop-up transfer accommodates the two different heights of the adjacent equipment. 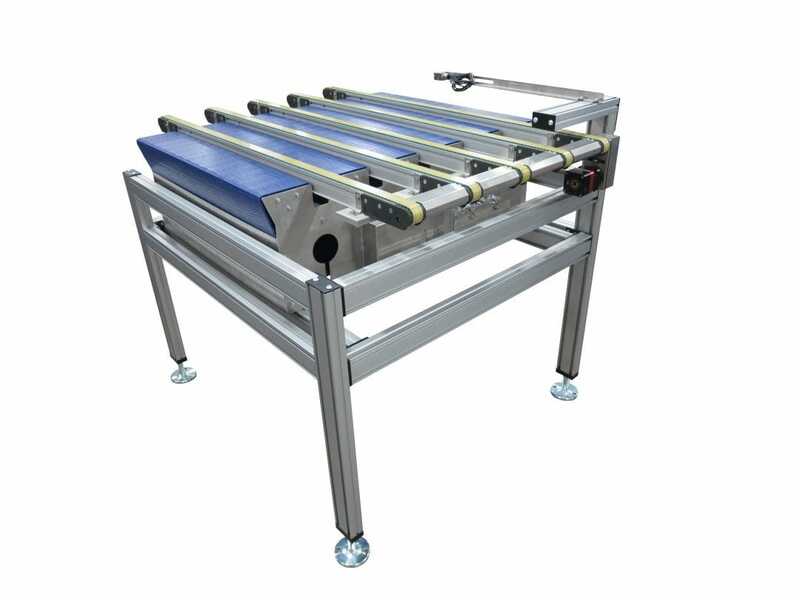 Also, the small footprint of the conveyors effectively addresses the customers space constraints. 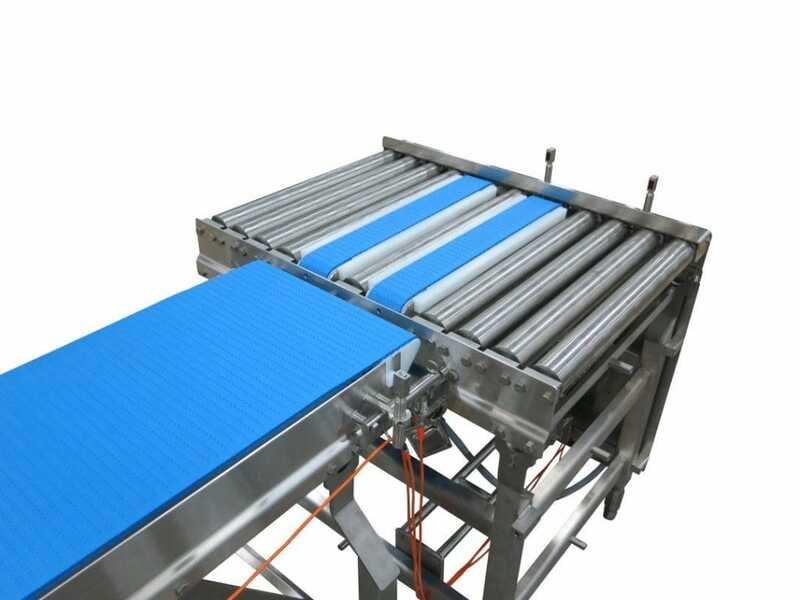 Pop-up transfer conveyors can be designed on both our sanitary and industrial conveyor lines.